I’ve recently been binge watching a lot of Chinese Dramas – especial historical, wuxia and xanxia ones. Ten Miles of Peach Blossom did this to me! The one I am most anticipating for this year is Legend of Fuyao (扶摇). 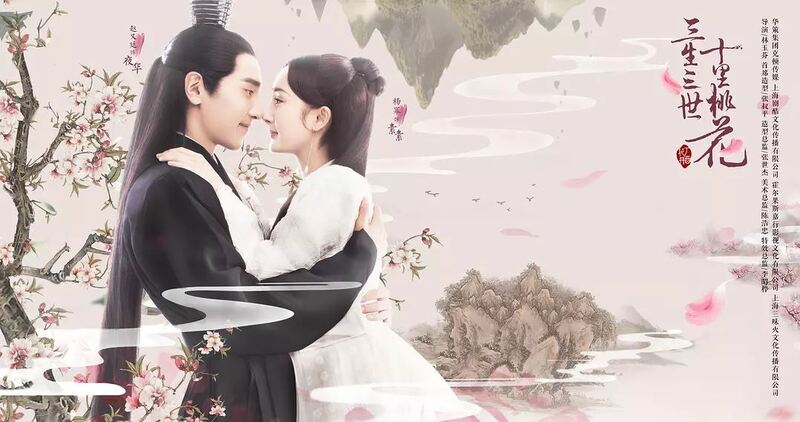 Edit: Watch Legend of Fuyao on Viki! <— Click this link for the first ep. The drama will star Yang Mi, Ethan Ruan (Juan) a Vengo Gao. Why am I Anticipating this drama? Like I said in another post, I haven’t gotten over Ten Miles of Peach Blossom. I am still reeling the after effects of Ye Hua and Bai Qian’s love story. Since Yang Mi played Bai Qian in that drama, I am binge watching on her past dramas. 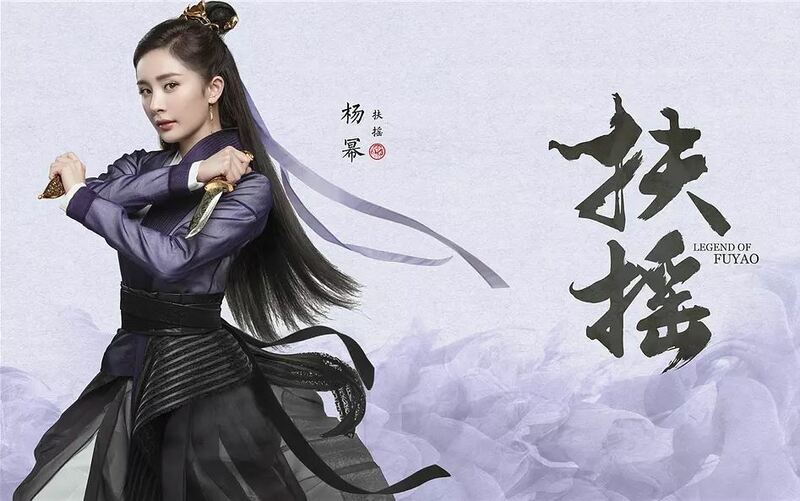 Yang Mi is not really my favorite Chinese actress – but I think her style works well in historical dramas – like Palace. 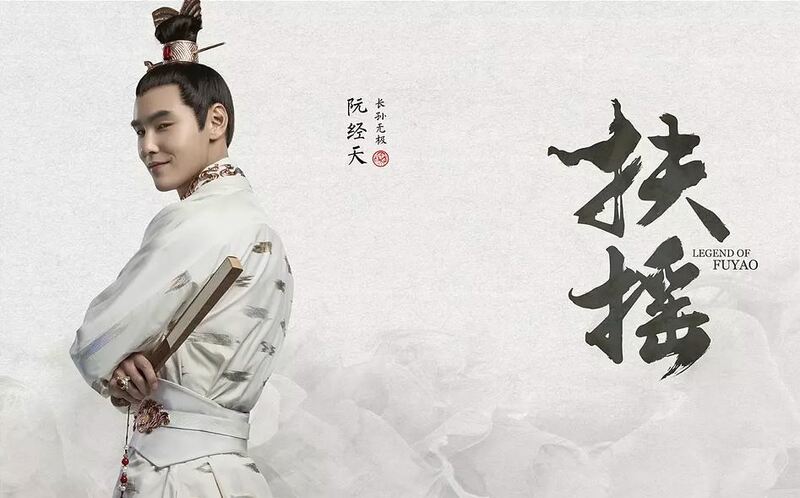 As the drama title’s namesake, we will surely be seeing a lot of Yang Mi in this drama. I was a very big Fated to Love You (Taiwanese version) fan. I loved how quirky Ethan Ruan was in that drama. If I am not mistaken that was one of his dramas that shot him to stardom. In the past years, I have not watched a lot of Taiwanese dramas (Korean dramas has me busy :)) – so I have not seen him in dramaland for a long time. I can’t wait to watch this drama because of him – and I can’t wait to see him do some action! I am totally loving the fight scenes in the trailers. 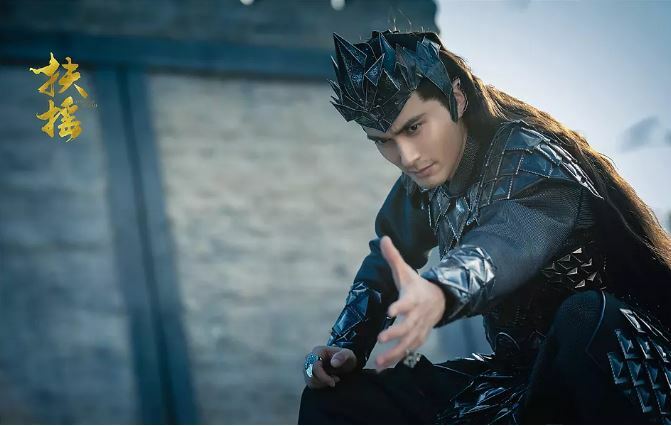 It might be because the drama’s martial arts choreographer – Li Cai – worked in productions like Hero and House of Flying Daggers. These 2 movies – Hero especially – are some of my favorite wuxia movies. I can’t wait to see them fight scenes. The marketing team of this trailer is smart to have made this trailer – because one they know that their main viewers will be women and two because they know how to touch women’s hearts. I love this trailer because it recognized the women behind the scenes of making this drama. The main character Fuyao is a strong woman. This trailer is saying that there is a Fuyao in every women. This drama will start airing tomorrow, June 18, 2018 until August 23. 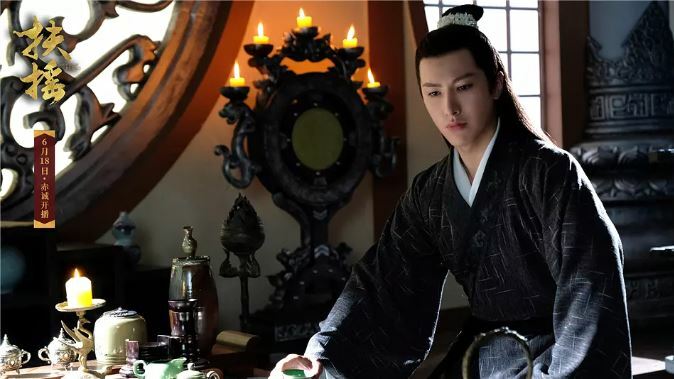 Edit: Watch Legend of Fuyao on Viki! Although some shows in Viki are not available in the Philippines but I am glad I could watch this! I was late in the Three Lives, Three Worlds Ten Miles of Peach Blossom / Eternal Love craze. The drama was released earlier last year – but I just finished watching it 3 weeks ago. And I still haven’t gotten over it! Ye Hua and Bai Qian story is still pulling heartstrings. I haven’t rewatched the whole drama but I’ve been rewatching a few of my favorite episodes. Because of that I cannot NOT post this! This post is short but it is definitely a dedication to my favorite song in the drama. The song is called Bracing the Chill (Liang Liang 凉凉) and it was played in the drama over and over again. Whenever I hear this, my heart is being pulled into a hundred different directions! Talk about having an effective OST for a drama! It will take another blog post for me to share to you my thoughts (and love) for the drama, but for now I will make this post short. If you haven’t seen the drama, go to Youtube or Dramafever to watch it! I promise you sitting through all 58 episodes is worth it! It’s been a long time since I’ve posted something. I’ve actually been itching to blog but I couldn’t find the right time and the right subject to write about. Today, I’m sitting here waiting for my friends to finish work when Youtube suggests the Meteor Garden 2018 trailer. Perfect! Perfect subject – perfect time to write a blog post! I’ve been anticipating the trailer of the new Meteor Garden drama since it was announced then Shen Yue (A Love So Beautiful) will play Shancai. I just finished watching A Love So Beautiful and I was quite impressed with her so I am quite pleased with the casting. When the trailer came out – my anticipation reached it’s peak! Hearing the original guitar rifts of the OST from the original Meteor Garden will sure bring back memories to those who’ve seen the original drama. I think it’s great strategy for them to use the original opening theme because it definitely brings nostalgia from the fans of the original drama. Makes them curious to watch the new drama. I’ve mentioned in the beginning of this blog that Hana Yori Dango is my favorite among all the adaptations. The trailer has snippets of scenes very reminiscent of the Japanese TV version – like Ski Resort scenes, the mansion looks similar with Domyouji’s mansion and the emphasis on Hua Ze Lei’s (Hanazawa Rui’s) violin playing skills. If I remember correctly, the original Taiwanese version had some changes in the story that made it different from the original manga. Although these were ok – I am still a gal who prefers faithful adaptations. I do hope that this version will stay true to the drama. The first Meteor Garden version was released in 2001. That was almost 20 years ago from today. Fashion, fads, language and culture has changed since then. Although Meteor Garden’s story can be retold a hundred times – the setting indeed has to be changed. I’m glad they’ve changed it to adapt to the new generation. Meteor Garden’s story involves bringing the cast to a different country. In the new trailer – I see that they went on 3 different locations – the Ski resort (it’s probably in another country), England (I see one scene where the English flag is flying) and Shanghai. We might be seeing more than just those 3 places. This production is indeed a big one! This trailer makes me excited for the new reboot! 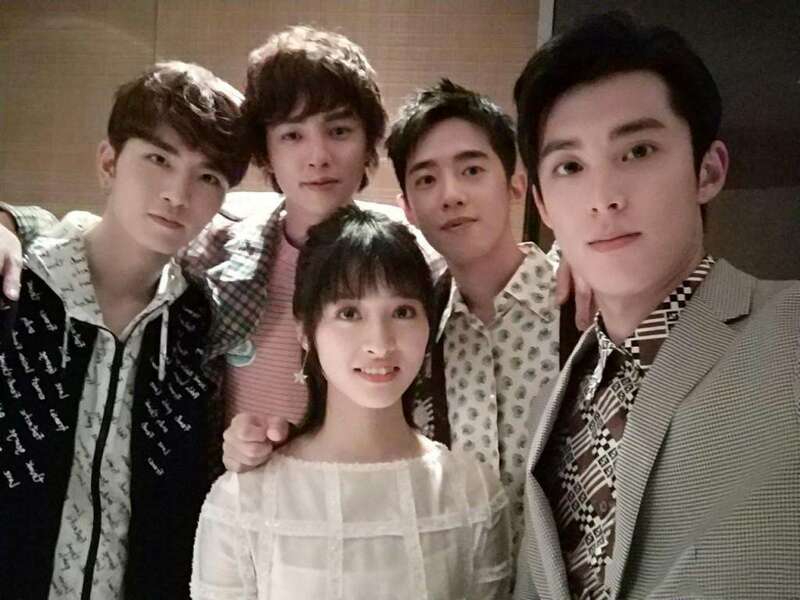 However, I am not quite sure yet whether I would like the drama or not – because it will still be the same Meteor Garden story and because deep inside I will be comparing it to the older versions. But I do have faith in Shen Yue! Although Barbie Hsu Shancai was quirky and strong, I think Shen Yue’s Chen Xaioxi was more effective in A Love So Beautiful. As for the male leads – I am not as familiar with them so it’s difficult to give a commentary. Are you excited for the Meteor Garden reboot? Comment below to let us know! The New Meteor Garden 流星花园 will start airing on July 16, 2018.